What does a woman do when she needs to prove that her boyfriend is not in love with his wife? 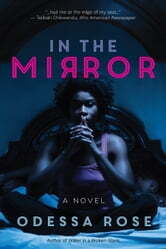 This is the dilemma facing physical therapist Jasmine Falls, the protagonist of Odessa Rose’s latest novel, In the Mirror. After going against her common sense and good home training, Jasmine becomes romantically involved with Daniel Roberts, a community organizer with a wife and two young children. Jasmine is blissfully content with her secret love affair until it begins to cause friction between herself and her best friend, Candy, who sees Jasmine’s love for Daniel as selfish, despicable, and just downright dumb. And then there are Jasmine’s parents, who are well on their way to admitting to themselves that the daughter they reared to be open-minded but not stupid has fooled around and gotten herself mixed up with somebody else’s husband. 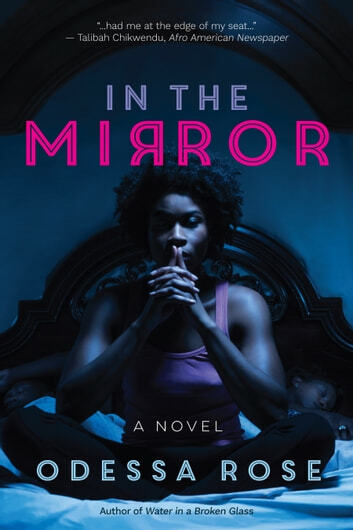 Desperate to keep Candy from yip-yapping about her being a home wrecker and to prevent her parents from lying awake at night wondering where they went wrong, Jasmine does the unthinkable. She breaks into Daniel’s house. But unlike some more infamous home invaders, Jasmine’s goal is not to knock off Daniel’s wife or make goulash out of the family pet. Her only objective is to do what every woman in her position wishes she had the guts and opportunity to do—become a fly on the wall of her lover’s life so she can bear witness to the fact that Daniel is in love with her, not the woman he’s been married to for the past thirteen years. The question is, does Jasmine see what is meant to be or what never should have been? In this passionately written story of love, choices, family, and friendship, Rose shows the other woman in a way she hasn’t been seen before, even by herself.